Business Concept Beautiful Woman Sitting Relaxing Day Dreaming.. Stock Photo, Picture And Royalty Free Image. Image 22399814. 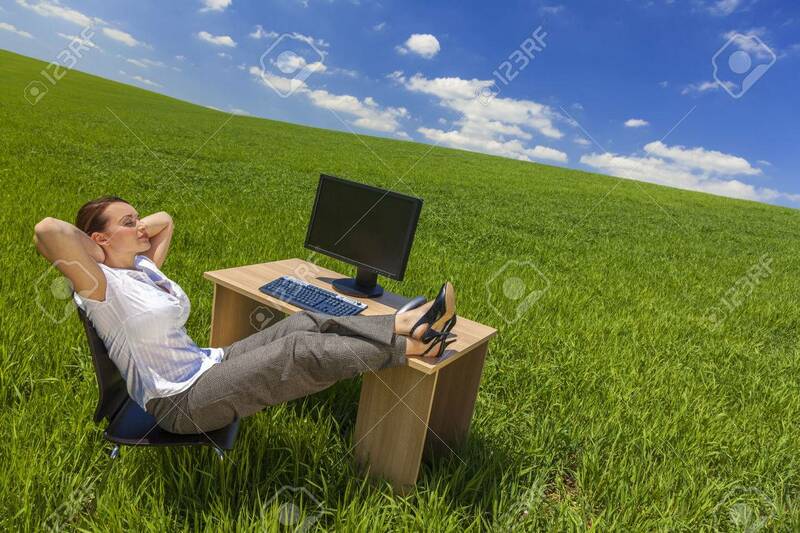 Stock Photo - Business concept beautiful woman sitting relaxing day dreaming at desk feet up with computer in a green field with bright blue sky & fluffy white clouds. Business concept beautiful woman sitting relaxing day dreaming at desk feet up with computer in a green field with bright blue sky & fluffy white clouds.